LNG: The new ‘low tar’ cigarette? Just as ‘low tar’ cigarettes were aimed at keeping people smoking, WA’s big gas export companies want to lock Australia into using Liquefied Natural Gas (LNG) for decades to come. by Mark Ogge, Principal Advisor at The Australia Institute. Remember when the tobacco industry was pushing low tar cigarettes as a healthier alternative to regular cigarettes? A thoroughly discredited argument that no one would take seriously today. The natural gas companies operating in Western Australia are running the same line for the same reason, and some politicians are buying it. Just as ‘low tar’ cigarettes were aimed at keeping people smoking, WA’s big gas export companies use the claim that gas is “low emissions” relative to coal, in order to justify continuing exporting massive amounts of Liquefied Natural Gas (LNG) for decades to come. But in reality, gas is only less emissions-intensive than coal if you ignore a large chunk of its emissions. The extraction of “Natural” gas (methane) produces greenhouse gas emissions at every stage of the process. It leaks methane during drilling, during processing, when it is being transported through pipelines, and when it is being burnt. Methane is an extremely potent greenhouse gas, and just small amounts of leakage have a huge impact on emissions. Astoundingly our governments don’t even monitor methane leakage. Instead, they make assumptions about how much gas leaks from various stages of the production process. These are known as emissions “factors” and are based largely on dated research from — guess who — the gas industry. Time and again, actual measurements in the field have shown that methane leakage is far higher than the assumed “factor” levels. LNG plants also use a massive amount of energy to process the gas and turn it into a liquid so it can be shipped overseas. This alone adds as much as 20 per cent to overall emissions. Then there are the emissions from when the LNG is ultimately burnt to produce energy, be it in Western Australia or overseas. When a gas company claims it is “saving emissions” by replacing coal, it is usually referring to just the combustion emissions, and conveniently ignoring the rest. Depending on how much gas leaks and how inefficient the plants are that the fuel is burned in, gas can actually be more emissions-intensive than coal. But what makes gas particularly insidious is that rather than displacing coal, it is more likely to be displacing renewables. According to CSIRO, renewables are now cheaper than building new coal and gas plants. But flooding the global market with gas means that many countries will keep burning it instead of building and switching to zero-emissions renewables. This is locking in gas infrastructure and emissions for decades, and locking export countries out of the opportunity to shift quickly to renewables. Far from being a “bridging fuel”, gas is a cliff into the climate change abyss. All up, gas from Western Australia results in around 150 million tonnes of greenhouse gas emissions per year. That is the equivalent of around 15 large coal power stations, around twice Australia’s total transport emissions. It completely swamps Australia’s domestic emissions reductions to make its Paris Agreement target (which we are not on track to meet). But worst of all, it is locking us into creating more gas emissions globally for decades to come, while locking out zero emissions renewables. Then there is the claim that asking these big polluters to pay for their emissions will somehow cost jobs. This is absurd and misleading. These companies make massive profits and the cost of offsetting is marginal at best. 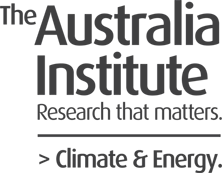 Australia Institute research looked at Chevron for instance, a company which pays virtually no tax in Australia, and found it would cost 2 percent of their cash surplus to offset emissions from their Gorgon and Wheatstone projects. Ironically, Gorgon was only approved on condition that they would capture their emissions which, predictably, has failed to eventuate. The claim it will cost jobs is laughable. The gas industry is very good at getting gas out of the ground and shipping it overseas using as few people as possible — a trend that will only continue. In fact, the gas sector employs fewer people per dollar invested than virtually any industry in Western Australia. 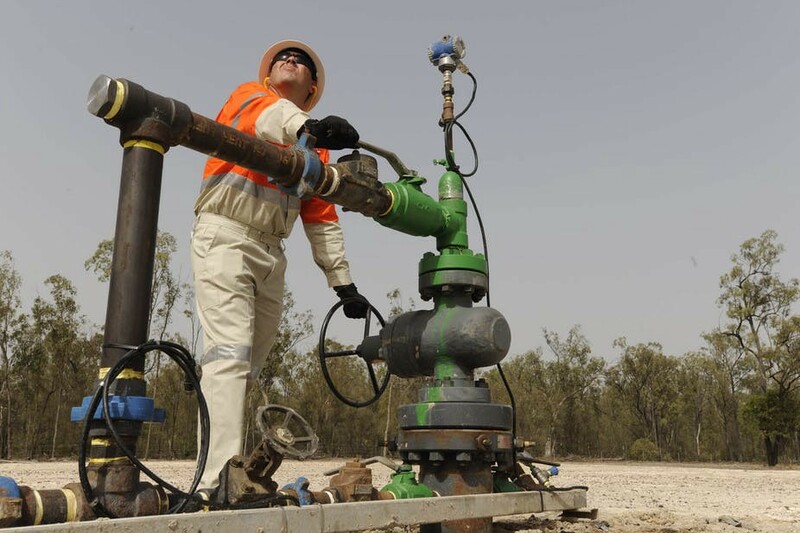 According to the last census, the gas industry employs just 1 per cent of the WA workforce. But it also has a crowding out effect on jobs in other industries. The impact of the “resource curse” is well documented — it drives up costs to other industries, who are forced to compete with the gas industry for skilled labour and services. It also pushes up the exchange rate, reducing export income for other export industries. Put simply, the more gas we produce, the less we have of everything else. In contrast, money raised from offsets could genuinely provide thousands of additional environmental jobs in WA, if the government takes the EPA’s advice and uses local offsets. These jobs would be helping to repair the damage of climate change that is being caused by the gas industry. It will be a great tragedy if we miss this opportunity. The EPA was to be commended for the small step it took to get the gas industry to pay for some of its emissions, instead, it seems to have bowed to the pressure big polluters. From all of the team at The Australia Institute, thanks for reading. We are able to do what we do because of your support.